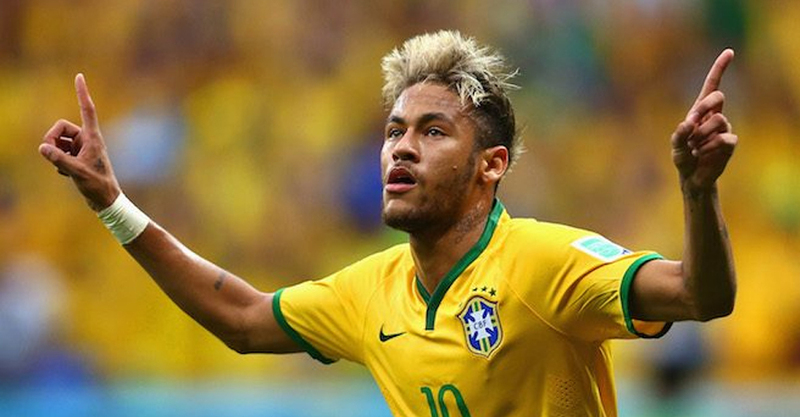 Paris Saint-Germain superstar Neymar has moved level with Romario in third on Brazil’s all-time leading goalscorers list. Neymar achieved the feat on his first start since suffering a broken metatarsal in February, finding the net after 63 minutes of Brazil’s final pre-World Cup friendly against Austria in Vienna. Some sublime trickery left home defender Aleksandar Dragovic on the seat of his shorts before Neymar coolly slotted home to put Tite’s side 2-0 up. “For me it is a great honour, great happiness to reach Romario, to be among the top scorers of the Brazilian team,” the PSG star told reporters after the match. 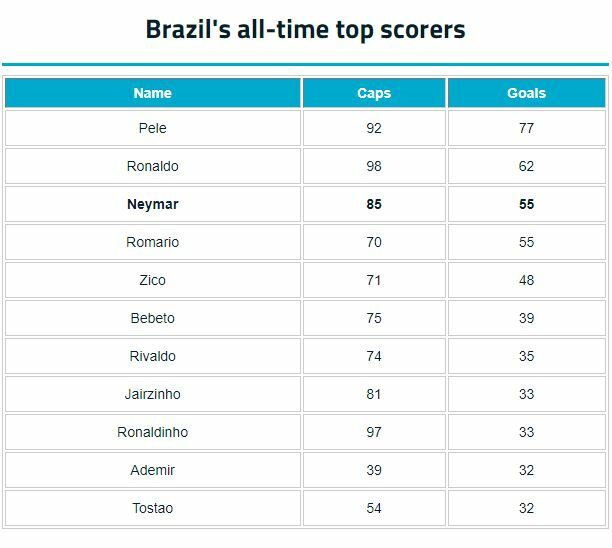 Neymar’s ultimate target will be to catch a fellow Santos icon in Pele, who remains well clear at the top of the list on 77.